According to CNN, Cara Delevingne has stepped up with her own details of allegations against former head of The Weinstein Company, Harvey Weinstein. 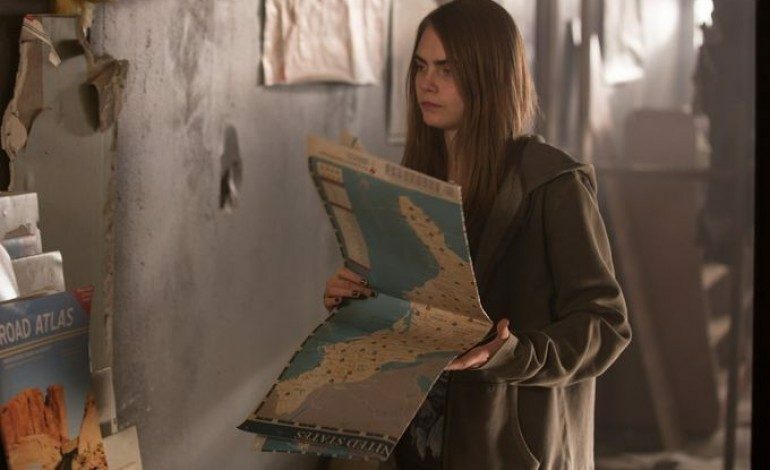 Known for her parts in films like Suicide Squad and Paper Towns, Delevingne also famously models too. However her roles in the entertainment industry ultimately also led her into the path of Weinstein. Joining the deluge of women positing their allegations towards the recently-fired Weinstein, Delevingne detailed her alleged sexual harassment in an Instagram post. Initially, the first encounter between the two was over the phone, where he allegedly made comments about her sexuality, questioning whether or not “[she] had slept with any of the women [she] was seen out with in the media.” Weinstein also allegedly noted that her sexuality would ultimately hinder her career in Hollywood and impact her ability to take on any heterosexual role in a production. However, her experience allegedly also continued “a year or two later.” Weinstein and Delevingne then interacted in person inside of a hotel lobby, where she would soon be waiting for her car to arrive and take her away. Though there was initially another person with them, they soon left Weinstein and Delevingne alone, which supposedly gave Weinstein the opportunity to relay his many tales of alleged sexual conquests with actresses and his supposed successful influence towards their careers. Like in many of the relayed experiences of his alleged victims, Weinstein soon supposedly requested that Delevingne visit him at his hotel room, which she reluctantly agreed to, despite her nervousness and reservations. However, when she entered his hotel suite, she saw another woman, a sight which she did not expect at all, especially in what was supposed to be a professional encounter. Weinstein then allegedly attempted to make the two women kiss, a demand to which Delevingne did not acquiesce. Requests like these, when made towards a woman who feels attraction to other women, are problematic not just because they objectify and degrade women by ignoring their autonomy, but also simply because they’re homophobic in nature. Allegedly, Delevingne did not oblige, instead attempting to distract Weinstein through singing. Eventually, she managed to escape, but not before Weinstein allegedly attempted to kiss her himself. Delevingne also went on to note that while she obtained the role for which she was in negotiations (most likely her part in the new Alicia Vikander-starring Tulip Fever), she felt an overwhelming sense of guilt, not just because she believed that she hadn’t truly earned the part, but because of her alleged experience of sexual harassment and misconduct. This is understandable, as many victims often take the blame themselves instead of assigning it to perpetrators. Ultimately, Delevingne’s allegations join the stories of Asia Argento, Gwyneth Paltrow, Ashley Judd, Rose McGowan, Angelina Jolie, and many other women. We will continue reporting if any new information arises.